We regret to announce the death of Mrs Jane Wambui Muuna. She hails from Kagwe, Mitundu Village, Gatamaiyu Location, Gatamaiyu Division, Lari Sub-county, Kiambu County. Wife of Mr Samuel Muuna Tibi, Mother to Wangechi Muuna, James Tibi of Samuti Engineering Limited, Beth Wangui Kusaga of Tanzania, David Mburu of Hipora Nairobi, Francis Njoroge of Standard Chartered Nairobi and Anne Njoki Kisumo of Washington DC. Daughter to the late Ngotho Kamau (Muruthi) and the late Elizabeth Wangui Ngotho. Sister to the late Rosemary Wangare Mwangi, the late Daktari John Kamau Ngotho and Kenneth Kanani Muruthi of Kagaa. Sister in law to Mr and Mrs John Mwaura Gitu of Kiringari Sub location Mukui village, late Eberhard Kusaga of Dar es salaam, Tanzania, late Charles Kamau Ndirangu of Mathioya Murang’a, late Andrew Kiberenge Karanja of Mau Summit and late Obed Mfangavo of Dar-es-salaam,Tanzania. Prayers and Committee meetings are ongoing at her home in Mitundu Village everyday at 3.00pm and on 23rd and 24th April 2019 in Nairobi at the Holy Family Basilica at 5.00pm. The cortege will leave Mukoe Funeral Home on Thursday 25/04/2019 at 9am. 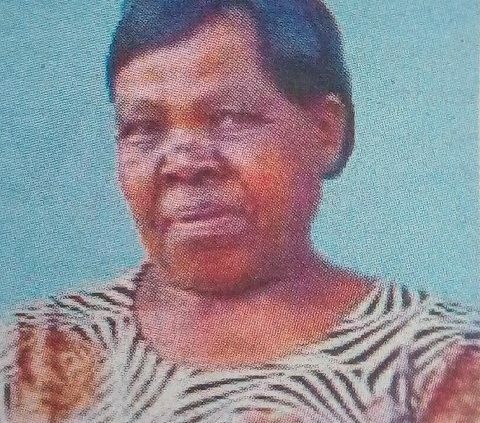 Burial service will be held at her home on Thursday 25th April 2019 starting at 11am. 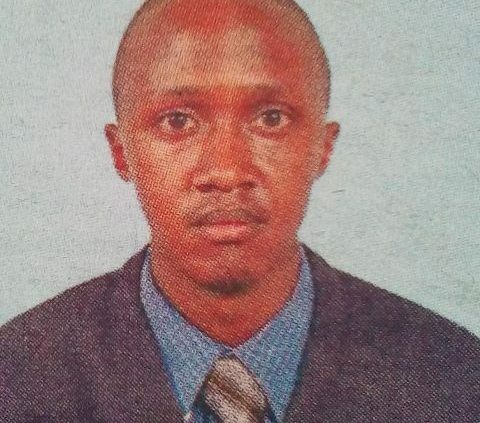 We are saddened to announce the death of Jackan Kituri Mbunga (Avist Tours and Travels) of Kitukunyi, Wundanyi Taita Taveta County which occurred on 17/04/2019 at Jamaa hospital after a sudden illness. 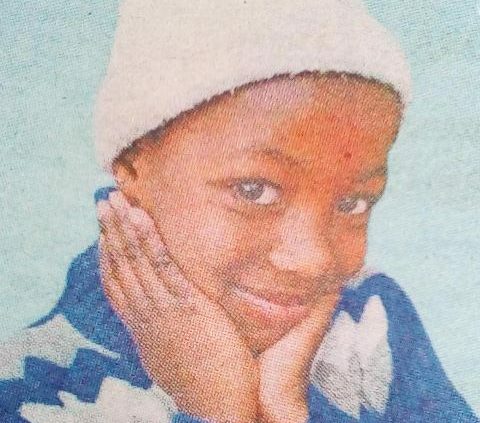 Son of the late Edward Mbunga Kituri and Patience Mghoi Mbunga. 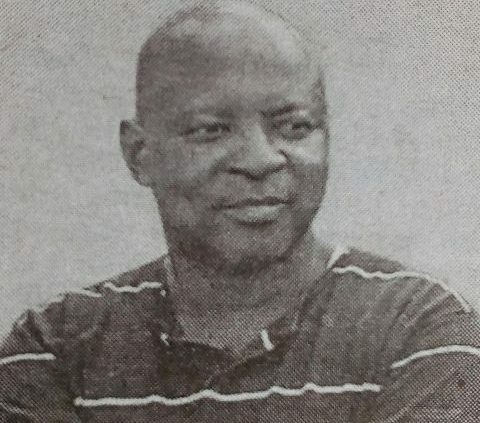 Son-in-law of Pius Mukita and Anne Mbula. Husband of Josephine Mutheu. 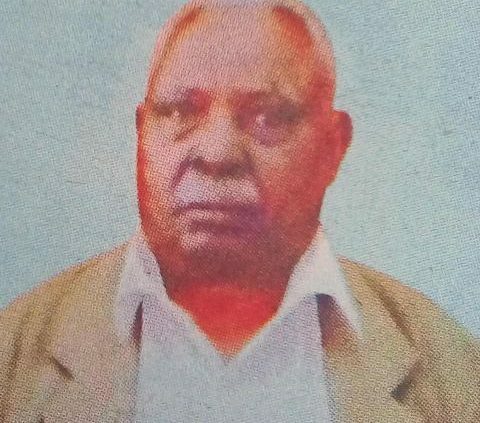 Father of Ethel Mghoi and Giovanni Mbunga. Brother of John Mbunga, Phylis Mbunga, Dinaice Mbunga, Silvia Mbunga, Janet Mbunga and Christopher Mbunga. Brother-in-law of Asalia, Makau, Chris, Paul, Jeniffer, Maggie, Raphael, Jackson, Regina and Jacinta. Nephew of Ruth Malemba, Jane Chao, Peter Nyambu, Jestina Mawondo, the late Christopher Righa, The late Danson Mwavula, the late Jane Malemba, Madline Zila, Vainess Samba and Charity. Uncle of Rubin, Patience, Mawondo, Avydan, Amanda, Athalia, Lukundo, Aryanna, Lemuel, Nathan, Edward and Raymond. Cousin of Morris, Jackan M, Phylis M, Chao, Mercy, Mike, Phylis O, Jedida, Moses, Phylis N, Martha, Malemba, Chao, Caroline, Jackan R, Nyambu, Pere, Mbunga, Erick, Charles, Aboo, John S, Patience S, Dinaice S, Loice S, Julie, John W, Ben M, among others. Meetings for burial arrangement are taking place at his house here in Nairobi – Uhuru Estate Hse No. 154, Adjacent to Uhuru/Harambee gate, from 5:00pm. The Fund-raiser will take place on Tuesday 23rd April, 2019 at his home. From 5.30pm. 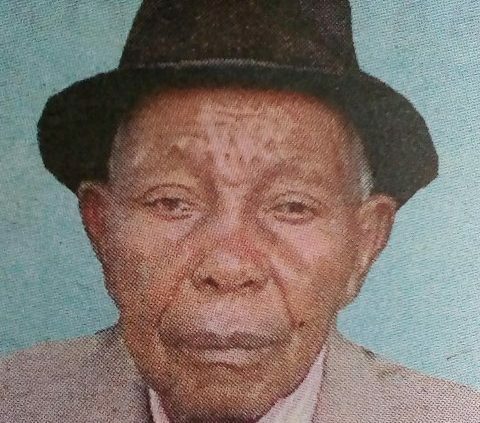 The cortege will leave Voi-Moi Referral Hospital Mortuary on Thursday 25th April, 2019 for Burial on 26th April, 2019 at his Father’s home Kitukunyi, Wundanyi Sub-county, Taita Taveta County. We regret to announce the demise of Isaac Kiondo Gicho of Runda Estate Nairobi. Son of Mr William Gicho Waweru and Mrs Josephine Wanjiru Gicho (formely Principal Gitwe Girls). Brother of Samuel Waweru, John Macharia, Ruth Wambui and Anthony Kaharuka. Grandson of the late Mr and Mrs Waweru Gicho of Komothai and the late Mr and Mrs Machiri Kabiro of Kiambururu. Friends and relatives are meeting at 4.00pm daily for prayers and funeral arrangements at his parents residence Runda Estate Nairobi. The cortege leaves Mukoe funeral home Githunguri on Thursday 25/04/2019 at 9.00am to be followed by a funeral service at be parents farm at Kibathithi Ruiru Dam Lari Sub-county, Kiambu County at 11:00am. With humble acceptance of God’s will, we announce the death of Idah Odundo Ochieng of Alego Rawa village. She was the beloved wife of Mr. Paul Ochieng’ Onjula. Daughter of Melitus Odundo and Rosalia Ogolo and Francisca Ogolo Odundo. Mother of Mary Akinyi Ochieng’, Vincent Ochieng’, Ann Florence Ochieng’, Peter Omondi, Patrick Onyango, John Paul Ochieng’ and Millicent Akinyi. Mother-in-law of Christine Ochieng’, Veronica Onyango, Elizabeth Omondi and Nadia Ochieng’. Sister of Emerencia Mumma, Maria Ongoche, John R. Okech, Felistus Makalanya, Evelyn Opondo, Raphael Odundo, John Stephen Okech, the late Christopher Onyango, Jack Schaeffer Nyiendo, Richard Bwoga and John Onjuok. Sister-in-law of Petronila Odero, Catherine Okech, Lynette Okech, Leonida Nyiendo, Elizabeth Nyiendo, Marygoretty Oduor, Veryl Akoth, the late Joyce Onyango, Pius Obonyo, Joseph Okiya, Consolata Agolla and Joyce Onyango. Aunty and grandmother of many. Friends and family members are meeting at All Saints Cathedral, Nairobi on April, 23rd and 24th from 5.00pm. The Harambee fund-raiser will be held on Tuesday April, 23rd – same venue. Home fundraising will be same day; April, 23rd at her home in Liganwa Alego. The cortege will leave Lee Funeral Home on Thursday April 25th at 3.00pm for Requiem Mass at Don Bosco, Upper Hill at 4.00pm. The burial will take .place in Siaya County, Alego, Liganwa on April 27th 2019. St. Josemaria Escriva, Forge 988: I was delighted to see that you understood what I said to you: You and I have to live and work and die like people in love, and we will leave in this way for eternity. Rest in God’s Peace, Our Precious Mother. 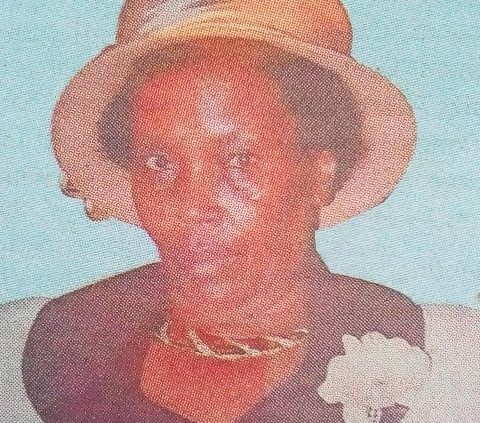 With acceptance of God’s will, we regret to announce the passing on to Glory of Mrs. Grace Muthoni Gituto. 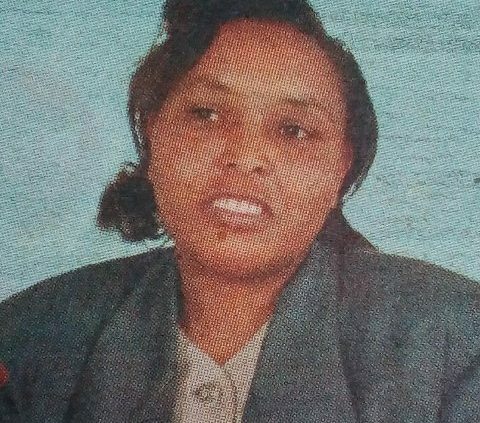 Wife of the late Eliud Gituto Muru wa Ndwiga. Co-wife of the late Monica Wanjiku and the late Jane Muthoni. Daughter of the late Mwai wa Mbogo and late Peris Wanjiku. Mother of the late John Mwai, Michael Kibuchi, Lucy Yawe, the late Frederick Miano, the late Josphat Kibuchi, Francis Wandeto, Charity Kabuchi and the late Loise Maina, Verinada, Zaweria, Augustin Muriithi, Joseph Wanjau, Miano, Late Charity, Bassiana and the late Miriam. Mother in law of Eva Mwai, Rhoda Kibuchi, Robert Yawe and Mercy Miano among others. Grandmother of Edwin, Eric, Eliud, Ephy, Adam, Eden, Hawa, Abraham Gituto among others. Great-grandmother of many. Sister of Margaret, Judy, Jane, Wamutira, Lucy, Wambui, Mugo of Apex, Kamau, Nyawira, Joseph, Waweru, Wanjiku and Nyamu. Meetings are ongoing daily at her Kangaita —Kwa Eliud home starting 4.00pm and Nairobi at Norwich Union 7th Floor RM5 on 23rd, 24th and 25th April 2019 starting 5.00pm. 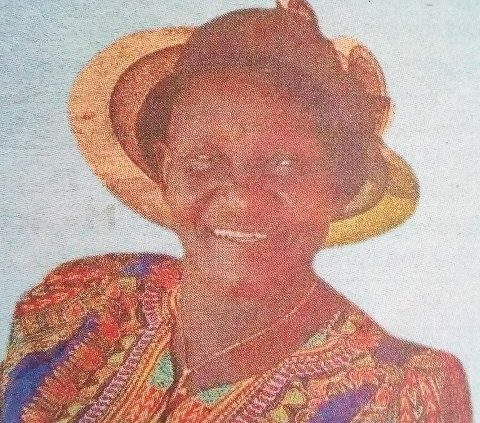 The cortege leaves Kibugi Funeral Home, Kutus on Friday, 26th April 2019 at 9.00am for a funeral service at ACK St. Peters Church, Rundu starting at 11.00am and thereafter the body will laid to rest at her Rundu home, Inoi, Kirinyaga Central, Kirinyaga County. It’s with humble acceptance of Gods will that we announce the death of our beloved Faith Wairimu Mwobobia which occurred on 18th April, 2019, while undergoing treatment at Meru Level Five Hospital. Daughter of the late Mr and Mrs John Mwangi Kangoro. Wife of John Mwobobia. Mother of Andrew and Agnes, Charity and Edwin, Celestine and Eric, Purity and Pharis, Sharon Waithera. Grandmother of Natalia and Adele, Ryan and Ethan, Joram, John, Joseph and Selina, Amara, Naima. Sister of the late Mary Waithira, the late Kangoro, the late D. Kiranya, the late R. Wambui, P. Njuguna, the late Kabage, B. Maina, R. Njeri, J. Macharia. Sister-in-law of J. Regeria, S.Kanario, S. Mbaya, L. Kirimi, S. Kinya and J. Kairuthi. 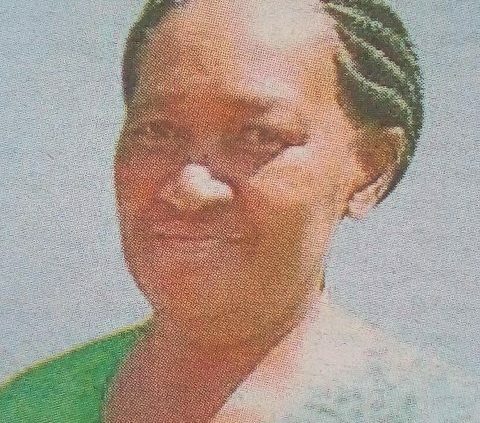 Family and friends are meeting daily from 5.00pm at her home in Milimani Kinoru Home. The burial will be on Thursday 25th April, 2019. Funeral Service start at 11.00am in St. Paul Methodist Church Meru and thereafter burial at her Milimani residence. It is with humble acceptance of God’s will that we announce the death of Esther Wanjiru Kiarii, after a fight with cancer. Daughter of the late Joseph Kiarie Mwangi and Magdalena Wanjiku Kiarie. Step-daughter of Regina Wanjiku Kiarie. Mother of Clement Kiarie. Mother-in-law of Sylvia Wanjiru Kiarie. Grandmother of Skylar Njoki Kiarie. Sister of Elizabeth Wangui, Justa Mukami, James Mwangi, Pauline Wambui, Philomena Nyambura. Step-sister of Josephine Wanjiru, Maxwell Mwangi, the late Gabriel Ndungu, Maryanne Waithera, the late Martin Mbugua, Paul Njoroge, John Githinji and Elizabeth Njeri. The cortege to leave Montezuma funeral home on Wednesday 24th April at 6:30am. 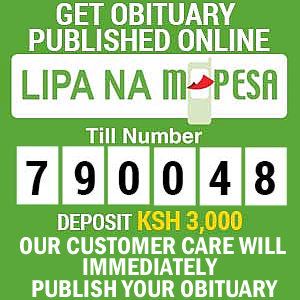 Burial service will take place at their home in Rurii Location, Ol’kalou Sub-County, Nyandarua County. Eternal rest grant unto Esther O’ Lord and let perpetual light shine upon her. May she rest in peace. Amen!